The only museum in Europe to focus exclusively on contemporary Australian Aboriginal art will close mid-2017 as its private funding comes to an end. Nomads in Art (2008) created an interplay between Western art and non-Western art. In Theme Park (2008), artist Brook Andrew transformed the museum into a cynical theme park that held a critical mirror up to its audience. Breaking with Tradition: CoBrA and Aboriginal Art (2010) displayed works by Aboriginal artists such as Inyuwa Nampitjinpa and Paji Honeychild Yankarr together with works by Karel Appel, Constant and Corneille. 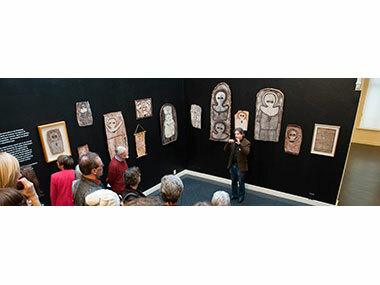 In Be My Guest (2011), ten Dutch museum professionals, artists and collectors chose a counterpart for a piece from the AAMU collection. This resulted in surprising pairings of works by Sol LeWitt, Yael Bartana and Roy Villevoye with Aboriginal art. And in 2012, a personal selection by the Lavertys from their (then) Collection of five of the most highly-regarded artists in the Australian art world: Sally Gabori, Daniel Walbidi, Rammey Ramsey, Naata Nungurrayi and Ginger Riley - read Jeremy Eccles review. 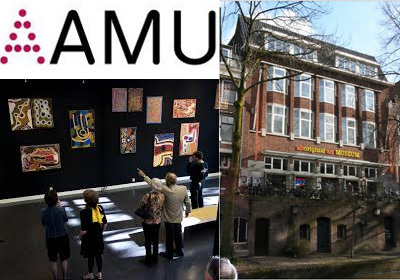 In announcing the decision, Board Chairman, Dop Bär, expressed his "thanks to the employees and volunteers for their dedication, the faith of the sponsors and subsidisers, and the enthusiasm of the many visitors, the AAMU has been able to share its collection with the public in Utrecht for many years in high-quality surroundings." The Museum's final exhibition Tracking Memories: The collective memory of the nation will display its most important pieces over the past 16 years. Currently on is Mapping Australia - opened by King Willem-Alexander and Queen Máxima - containing a number of historical Dutch East India Company maps alongside Aboriginal art. It runs until 15 January 2017.